Pastor Ohlmann received email updates on the work and on-going study almost weekly from Pastor Raju. They continue to study together through email correspondence courses. The lessons they go through via email serve as the basis for the lessons that are then taught at the monthly pastoral meetings. Over the past few years the pastors have gone through Luther’s Small Catechism (Sydow edition), Shadows and Substance, My Church and Others, and fourteen doctrinal essays written by Missionary Koenig. All of these materials have been translated into Nepali and professionally printed by Pastor Raju, who is employed part-time by a Nepali publishing and printing company. Our goal in Nepal is the same goal we have in every place the CLC is blessed to be about our heavenly Father’s work of spreading the truth of God’s saving word. We, as a church body, have determined that the best way to do this is to assist in training indigenous men for the pastoral ministry. The majority of the funding sent overseas is used for the training of pastors. With this in mind, the leaders of the HCLC-Nepal and the Board of Missions are now working toward the goal of one day starting a seminary in Nepal to be modeled after the seminary of the CLC-India that has been functioning with much success since 1998. The CLC-India seminary graduates twelve fully trained pastors each year. Pastor Raju has requested the opportunity to come to the U.S. to attend Immanuel Lutheran College and Seminary with the goal of preparing himself to begin and teach seminary classes in Nepal one day. While the internet has been a great blessing by which we have been able to conduct extensive correspondence courses, this does not replace the obvious benefits of classroom instruction. The Board of Missions is working with the ILC faculty toward the goal of having Raju enrolled and attending classes at ILC in the Fall of 2012. Of course, there is much government paperwork to take care of for a foreign student to enroll along with the costs involved in transportation, tuition, fees, room and board, books, etc. Financing for Raju’s education will be paid for through your offerings to the Mission Development Fund (MDF). 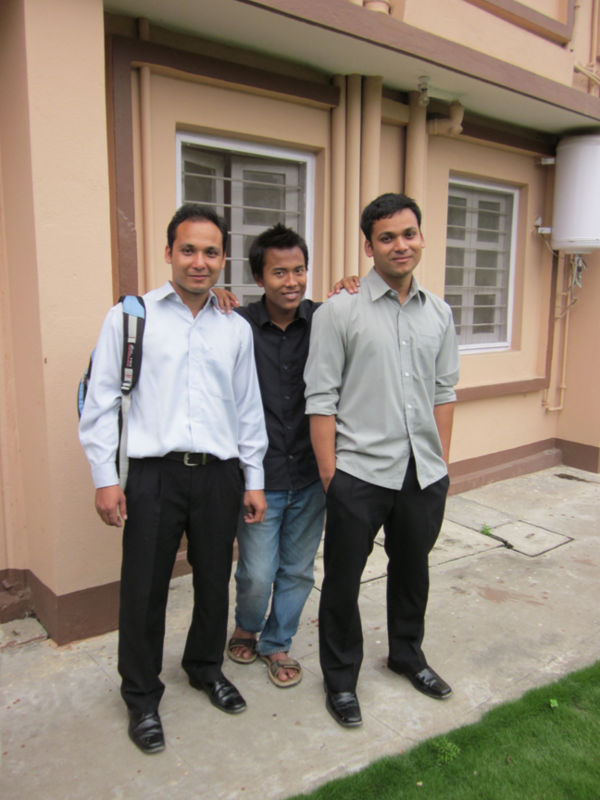 Please continue to pray for the pastors of the HCLC-Nepal as they continue to strengthen and encourage the faith of the members in the congregations they serve. Pray that the Lord would bless the preaching of the Gospel especially in the distant districts of Nepal where there has been very little witness to the Gospel given. Remember the seven orphans that are being cared for by the Bhitrakoti family through KINSHIP sponsorship. And finally, ask that the Lord would bless the efforts to bring Pastor Raju to the U.S. and ILC where he can study, learn, and be prepared to train many more pastors in Nepal for the equipping of the saints for the work of the ministry.